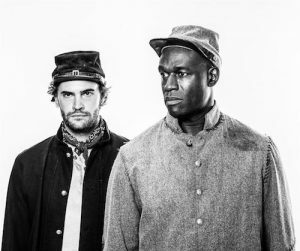 Both an investigation into the mental wounds inflicted by slavery and a satire of the traditional Hollywood accounts of that period of American history, Suzan Lori-Parks’ Pulitzer Prize-nominated Father Comes Home from the Wars (Parts 1, 2 and 3) has arrived at the Royal Court as the latest example of the theatre’s continued importance in its 60th year. 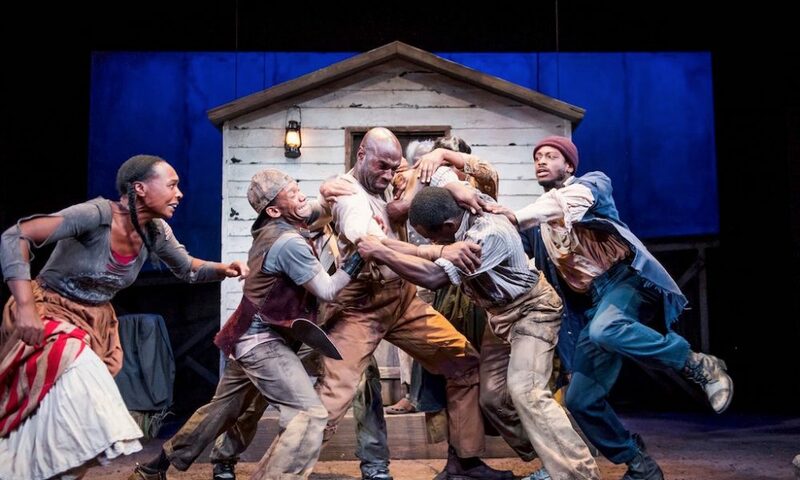 Understandably slavery is usually approached with the utmost solemnity; Lori-Parks, however, is not afraid to serve up irreverence with her bleak narrative, a narrative that is based on the ugliest of ironies. 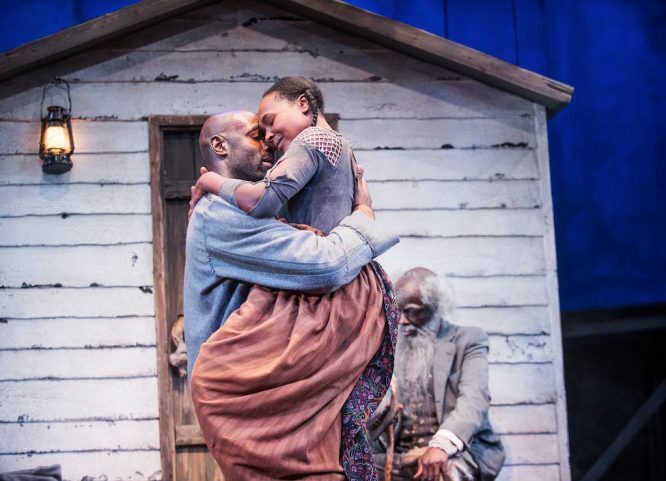 For Father Comes Home finds its hero, Hero is forced to choose between fighting for his supposed freedom on the side of his Confederate master, or remaining enslaved at the plantation alongside his makeshift family. 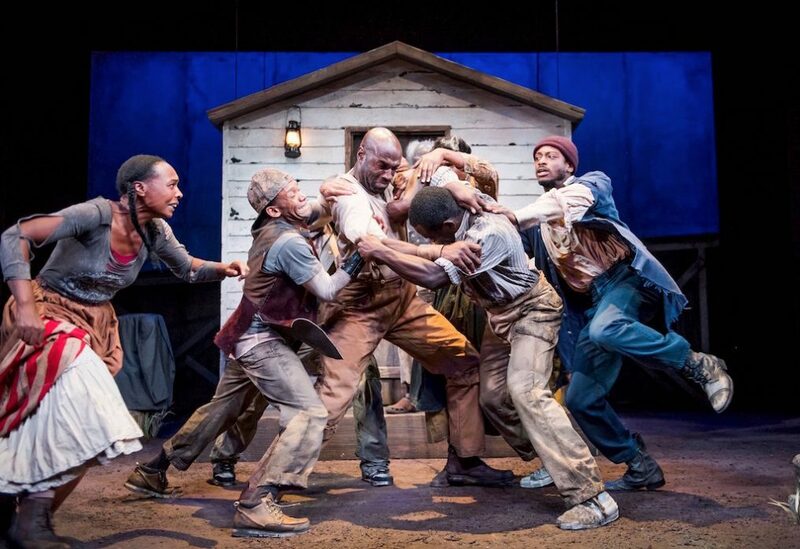 From this bind Lori-Parks produces the first three acts of her intended nine-part series, with a homegoing and a homecoming separated by a glimpse of war. 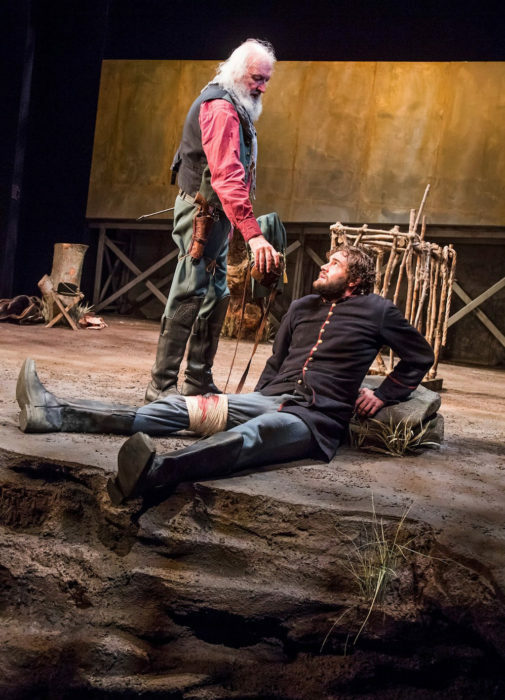 Though it contains plenty of witty jabs at the pomposity of John Stahl’s Colonel (whose squiffy accent adds to the off-kilter nature of both the play and the character), there is a different flavour to the second act when compared to the more overtly comedic (yet no less tragic) first and third sections. It is the only part with any white characters and, not coincidentally, the only segment to see the use of racial epithets. 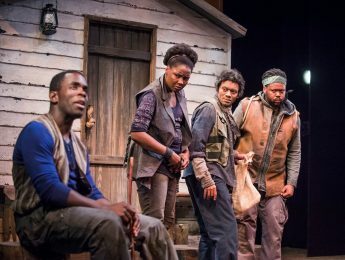 In doing this Lori-Parks provides the starkest example of what exactly is at stake, with Hero’s position between Union and Confederacy – and what that represents – even more pronounced. 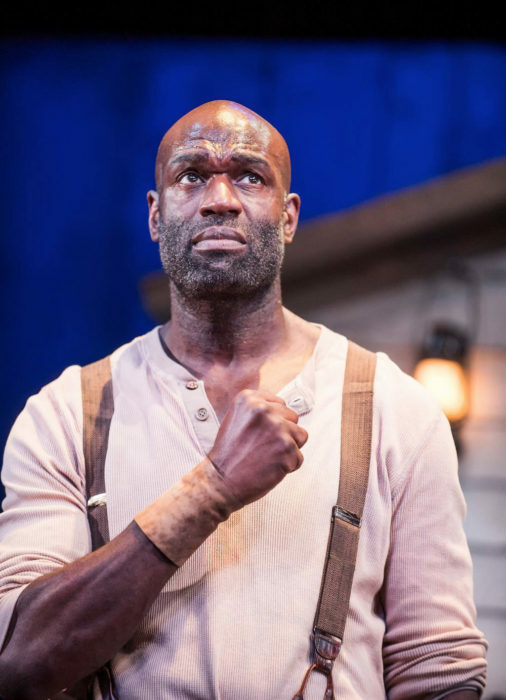 While not free of anger, there is a softness to Steve Toussaint’s Hero that means the audience gets to feel the genuine sense of loyalty and apprehension that complicates the choices he faces. Arguably, however, the star turn doesn’t belong to Toussaint but those that crowd around his Hero. 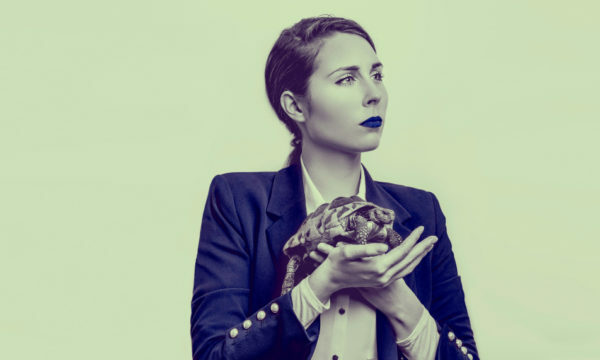 Nadine Marshall excels as his near-wife Penny, caught in her own trap between the man she loves and the faint promise of escape, while Dex Lee somehow manages to turn his role as a talking dog into a modern example of the classic Greek messenger. 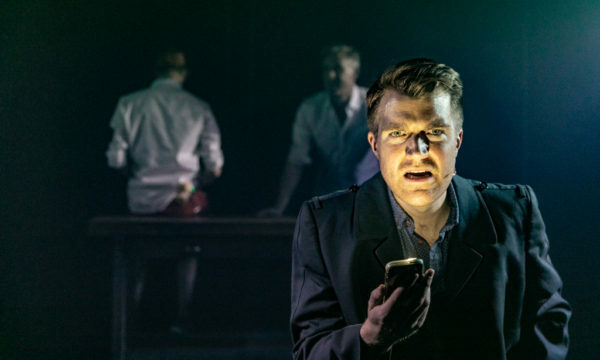 With its comedic choruses, twangy music (performed onstage by Steven Bargonetti) and dark subject matter, Father Comes Home is at times a deeply disorientating journey. 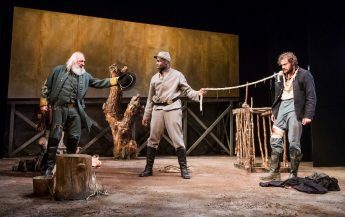 Yet it is one worth taking, for Lori-Parks is a playwright unafraid to aim big, taking on the bloodiest stain on the American flag with hitherto unseen verve and humour. Father Comes Home from the Wars (Parts 1, 2 and 3) is on at the Royal Court Theatre from 15th September to 22nd October 2016, for further information or to book a visit here.